The decision means that fuel allowance recipients will now automatically receive €45 for this week instead of the usual €22.50. 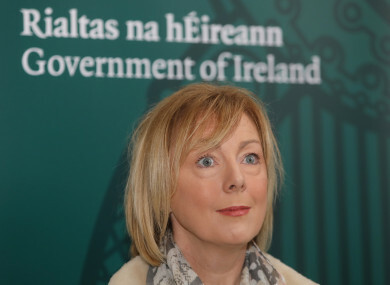 SOCIAL PROTECTION MINISTER Regina Doherty has confirmed that government will offer an extra week of fuel allowance. The fuel allowance is €22.50 a week and is given to some 330,000 people nationwide. Yesterday, the Taoiseach refused to confirm that the government would double the fuel allowance allocation for the cold snap, which drew criticism from the opposition in the Dáil yesterday. Doherty confirmed the details today, stating that the delay in announcing the measure was because she had to discuss the roll out with An Post, who administer the payment. Opposition parties called on the government to double the payment this week, stating that it is the simplest and most certain way of ensuring that elderly and low-income families do not put themselves at risk over the coming days. The decision by Minister Regina Doherty TD to issue a double Fuel Allowance payment will be warmly welcomed by tens of thousands of pensioners on low incomes. The most important thing for older people in this weather is to stay as warm as possible. But even at the best of times many are worried about the cost of heating their homes. He said the double payment will reassure people that they can afford to keep the heat on in a week when they really need it. Annually the fuel allowance costs the Exchequer some €200 million. Two changes have been made to the system so far this year. Those in receipt can avail of the payment in two lump sum payments totalling €607, as opposed to the weekly payment, and the scheme has also been extended by one week, taking it into the first week in April. Doherty also told reporters this morning that she has asked that all electricity disconnections be suspended for the next few days. Email “Government will offer an extra week of fuel allowance during the cold snap”. Feedback on “Government will offer an extra week of fuel allowance during the cold snap”.